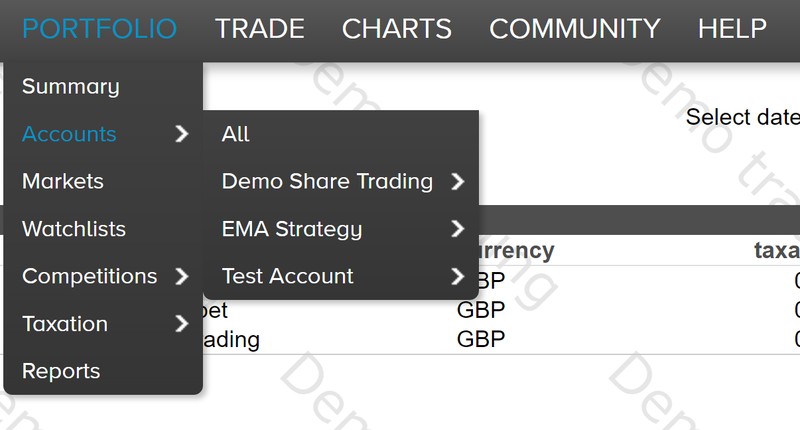 You can use TimeToTrade to create multiple simulated trading accounts for UK and US Shares and Foreign Exchange (Forex) currency pairs. 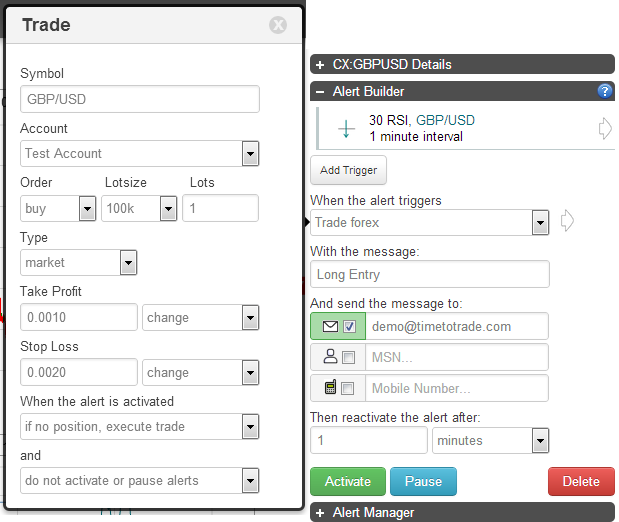 You will also require a simulated trading account to forward test a trading strategy. 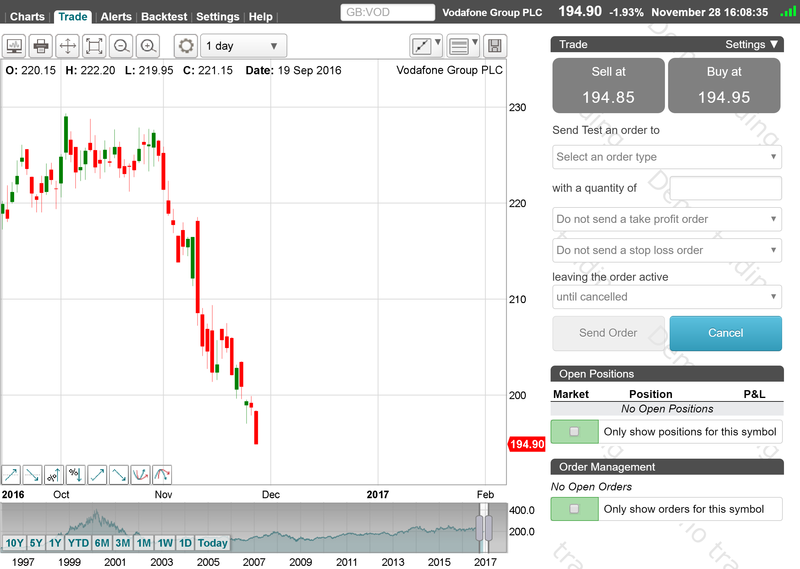 You can create many different simulated accounts to test different styles of trading and strategies. For help on how to place a trade and the various trading features see the Share Trading help section. 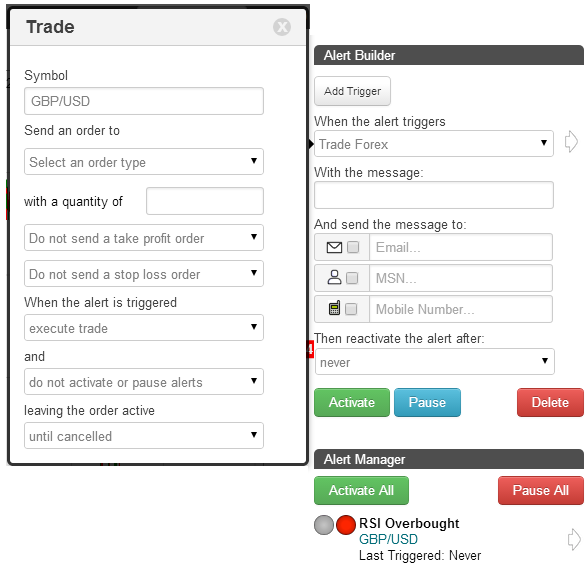 Any trades or alert based trading strategies created by clicking on the 'TRADE' tab, will be associated with the simulated trading account.